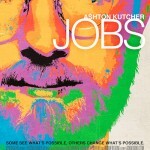 Marketing for the upcoming "Jobs" movie starring Ashton Kutcher has definitely been ramped up as the film's theatrical release draws near. Now, to give us a better idea of what to expect from the biopic, a new preview clip from the movie has been released. 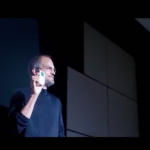 In the new clip, posted by Moviefone and spotted by 9to5Mac, the title character, Steve Jobs as played by Kutcher, and his Apple cofounder, Steve Wozniak as portrayed by Josh Gad, come up with the now famous Apple name.